Synplant is not giving any audio out, either from midi or my clicking it. Older projects work fine where is synplant, but when loading new it does not work. I think this issue might came up after updating to os sierra? The most common problem with Synplant not responding to MIDI is if it is set to listen to the wrong MIDI channel. But as you say it does not respond on mouse clicks it sounds like something else. If you bring up the interface, does the plant in the middle look ok and alive or has it died? Try unregistering the plug-in from the main menu and re-run the Sonic Charge Authenticator. When you say that you are "clicking it", do you mean the branches or the note "buttons" around the plant? Midi is set to "Any" and as you see in photo that midi goes in but no audio is coming out. I did try re-activate it also. But as i say, if i open old project where is synplant it will work, but if i load new, it wont work. And yes if i click on branches there is not sound coming out either. Since old projects load fine but not new, could you please create a new empty project in Live with only Synplant (that demonstrates the audio out problem) and upload it here so that I can see if there is anything weird with the settings? 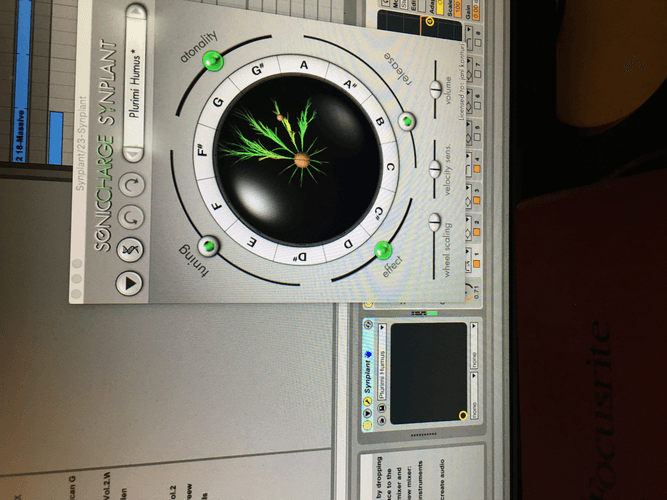 Here is video with only synplant on new project, and then photo attached from old project, there is synplant working and also i can change the preset and it will work. Works on midi or touching the branch with mouse. I honestly haven't got a clue. 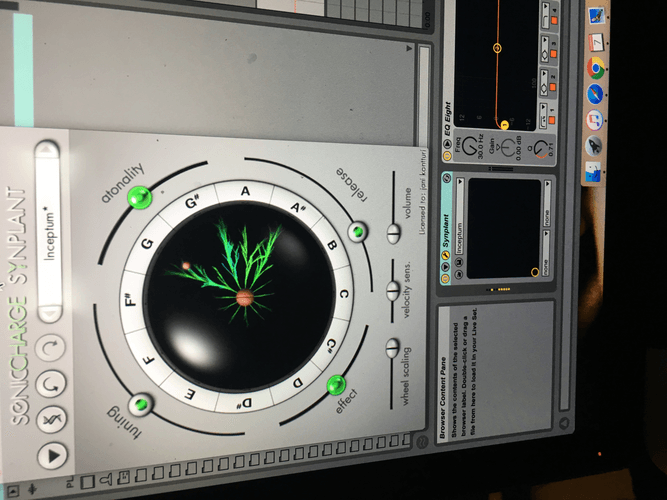 It does indeed look like Synplant is playing (the white flashes when the branches are triggered) and MIDI configuration looks correct. What is most peculiar is that you are saying that old projects load and play fine. Here is a Live project I just made with a single instance of Synplant. If you open this and play some MIDI notes, do you hear it? Okay this is now weird. I open that project, and synplant works fine, i open my projects where it did not work as shown before, but now it will work. So all good now. dont know what happen, i have not done any changes to my macbook at this time. Thanks for good help on this! Glad to hear that but it is still disturbing that you had this problem. Let us know if it ever happens again. please help if you have any solutions for this!